We care about your home and ours. Sarasota is our home, too. We live here, we work here, so we honor our commitments to our customers. One phone call to our company will ensure a prompt response to your lawn, plant, palm, fire ant or mosquito needs. Our mission is to help you enjoy your home and property. We strive to help you achieve and maintain a beautiful exterior landscape. Safety for your family and pets is priority number one, while professionalism is what we offer you in service. 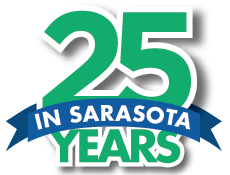 We proudly service Sarasota, Manatee, and Charlotte counties.